The concept of a device able to milk cows without human intervention dates back to the 1970’s, with research and different prototypes tested in the mid 1980’s, reaching a milestone when the first commercial AMS installation took place in the Netherlands in 1992. Today automatic milking systems have been adopted through every continent around the World. The most common type of automatic milking unit setup to date is known as ‘single box’ in which one cow is milked at a time by a dedicated robotic arm that performs all milk harvesting related tasks for the cow present in the milking crate. Milking related tasks include teat preparation; cleaning and drying, cup attachment, individual quarter milking and post-milking teat disinfection. These units can normally cater for a herd of around 60 to 80 cows milked between 2 and 3 times per day, conducting an average of 150 to 180 milking events per day. Single box systems are supplied and supported in Australia by DeLaval, GEA Farm Technologies and Lely. An alternative to single box robots evolved with the commercialisation of the ‘multi box’ systems, in which a single robotic arm is able to operate in up to 5 milking stalls. These multi box systems can milk more cows per robot but generally less cows per milking crate and robot utilisation is usually greater, because once the robotic arm finishes attaching milking cups to a cow in a particular stall, it can move and proceed with the next one, minimising idle time. 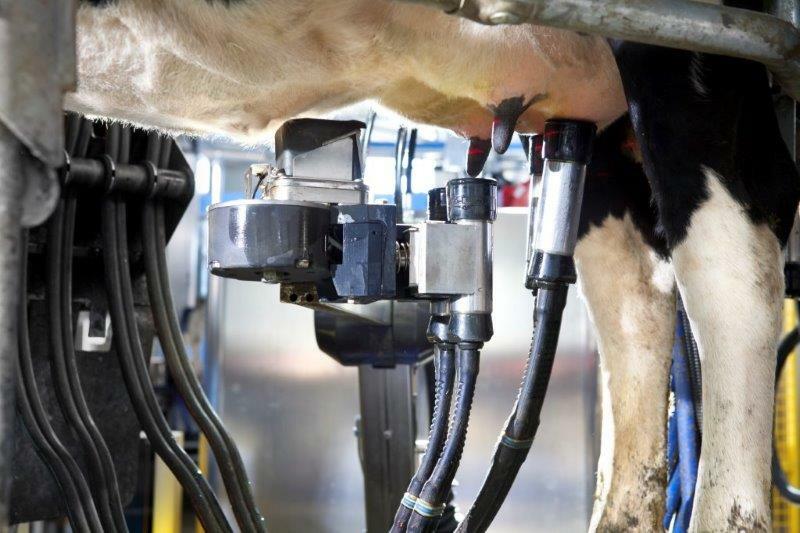 The drawback is that sometimes a cow may enter the milking stall and is required to wait to be attached, because the robot is performing tasks on another cow. Multi-box systems were supplied and supported in Australia by Daviesway and GEA Farm Technologies. Over the last years, developments have focused on incorporating robots into rotary parlours. Robotic rotary systems like this are thought to be more likely suited to larger herds and should allow for a reduced investment cost per cow compared to the single and multi-box robots. However, we do acknowledge that in fact both single and multi-box robots can and are used to milk large herds in both indoor and pasture based systems. Robotic rotary systems are supplied and supported in Australia by DeLaval and GEA Farm Technologies. When deciding on a milking unit and brand take into consideration which company can offer you the best local service and support (pre-sale, planning, installation, technical, maintenance and farm management support). This important factor will help you have a smooth commissioning and avoid extended downtimes in the event of a breakdown. Dr Nicolas Lyons from NSW Department of Primary Industries ran a webinar in February 2016 about ‘Type of Robots’.